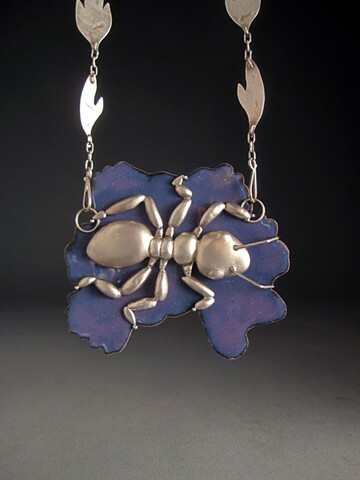 This set of jewelry is made using some special techniques: chasing and repousse, enameling, roller printed embossing, shell forming. Made of sterling silver, lead-free enamel, gilding metal, and stainless steel for the pinback on the rectangle pin. This set of pieces took over 60 hours to create.